Yuri Afanasiev, a professional advertising photographer, conducts training Yemen & Socotra photo-tours. These photo-tours are for those who want to make a trip for getting photographic knowledge that cannot be acquired from Internet or master classes. Yuri Afanasiev - the winner of "FEP European Professional Photographer of the Year Awards 2009" in the “Artistic photography” category, a member of the Federation of European Professional Photographers (FEP), a member of the Guild of Russian Advertising Photographers, has a QEP (Qualified European Advertising Photographer) Certificate. The pilot Yemen & Socotra Photo-Tour took place in March, 2010. From 15 to 18 April, within the framework of PHOTOPHORUM 2010, SONY Company was exhibiting at its stand the photographs taken during the “Yemen & Socotra Photo-Tour”. How not to spend time on boring seminars effacing from your memory in a couple of days? Fantastical views will make you to burn with a desire to take pictures. This photo-tour is equally good for experienced and novice photographers. The latter will be able to gain new knowledge from more competent colleagues. At the same time in addition to useful information obtained from the teacher advanced participants of the photo-tour will get an opportunity to enhance their potential by sharing experience with newcomers. One has to be on top of the issue to be able to explain it popularly. Some novice photo-lovers have photographic vision bred in the bone, but they do not know how to realize their ideas. So, such people may reveal an absolutely new world to more experienced photo fans. The main thing is not to look down your nose at those who seems to be less competent in photography. First, Yemen is an exotic and hospitable country. Second, it is the Socotra Island that takes 90% of the photo-tour time. 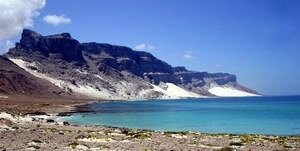 Socotra is an island located in the basin of the Indian Ocean in latitude 12 grad north. It is more than 200 km far away from the nearest mainland. The island’s unearthly landscapes are famous for dragon and bottle trees. Third of 900 species of plants growing on Socotra are endemics. In prehistoric times the Haggeher mountain peaks rising above the central part of the island were not inundated during fluctuations of the World Ocean level. It is proved that they are the most ancient parts of the Earth’s land surface. It is a great piece of luck to appear in this wildlife preservation with a highly professional photographer and like-minded photo-lovers. You will be absorbed in photography for ten days. So, you will take part in discussion and analyses of the recent pictures, individual consultations and joint photographing of such genres as landscape, reportage, portrait, travel-photography, panoramic photography and city pictures (Sanaa). Which of camera lens is preferable for each genre of photographing. All the participants of the photo-tour will be able to see how to make an advertising poster and create pictures for Travel Photo Banks. The Master will show you how to change the mood of the same photo with the use of various lighting and camera lens. If you want to make sharp photos at any time of night and day do not forget to take a tripod. The total weight of your backpack with all photographic equipment should not be more than 13 kg. It is good to have both wide-angle and telescopic lenses. Best of all it would be to take a high quality zoom lens than a park of discrete ones. Do not take lenses covering more than 500 mm focal lengths. Their use in such trips is extremely limited, therefore, it is no need to add the weight to your luggage. During the last photo-tour Yuri Afanasiev used a set of "top-end" Sony Alpha optics covering from 16 to 560 mm focal lengths. Except a number of memory cards take a storage device to keep your photos. Do not forget to take a battery charger for all your devices requiring power supply. It is also desirable to have a spare accumulator for your camera. A flash light for night photographing and water-proof bags to keep your equipment dry in case of rain or travelling by boat are also be of use to you. But the most important things you shouldn’t forget to take with are a sun-protection cream, sun glasses and light comfortable clothes covering hands and foots. To get more detailed instructions click here (traveller instructions). Arrival to Sanaa, photographing of the Old City recognized by UNESCO as a World Heritage. Day sightseeing tour to Sanaa’s suburbs. Photographing the mountain landscapes of Sanaa’s suburbs – the old fortress villages (Shibam, Kawkaban, Zakor). Having dinner in Shibam and staying overnight in Sanaa (Burj al Salam 4*Hotel). Flight to Socotra. Visiting Detwah Lagoon, staying overnight at Detwah Camping. Socotra. Morning photographing of Detwah Lagoon from nonstandard points of view. After dinner we will travel by boat to Shuab Bay and catch fish by the way, stay overnight in tents on the shore. Socotra. Coming by boat to Qalansiyah, transfer to Diham plateau, evening photographing of dragon trees, staying overnight at the edge of the canyon. Socotra. Morning photographing of the canyon and dragon trees, going down to Wadi Dirhur canyon, walking along the canyon, swimming in a natural basin. Evening photographing from the plateau. Staying overnight at the edge of the canyon. Socotra. Transfer to the south coast. Debug cave. Sanset photographing of Socotra’s south coast dunes. Overnight in Aomak Camping. Socotra. Transfer by a mountain road to the north coast. Staying overnight in Rush camping. Socotra. Photographing from Mumi plateau, staying overnight in Rush camping. Visiting Erissel Cape and Archer dunes. Overnight in hotel in Hadibo. Flight to Sanaa. Evening photographing of Sanaa. Shopping. Transfer to airport. The photo-tour participation price (for a group of 6 persons) is 3500$. If you have any questions on the photo-tour, please, do not hesitate to contact Yuri Afanasiev. You can book the trip by writing to us. The number of tour participants is restricted – no more than 8 persons! Guiding & Socotra Trip are arranged by Denis Romanov. The last day of filing of an application for participation in the October Photo Tour is 20 September.